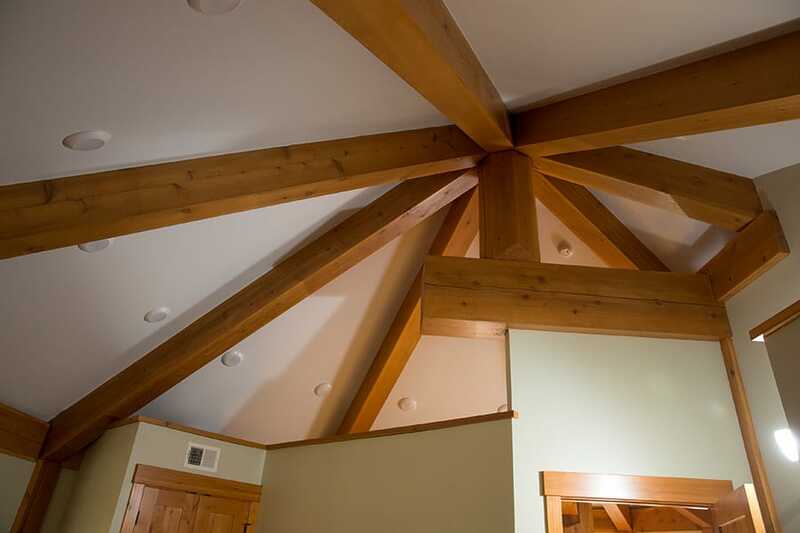 There are four types of homes we specialize in building—Handcrafted, Dovetail, Milled and Timber Frame. 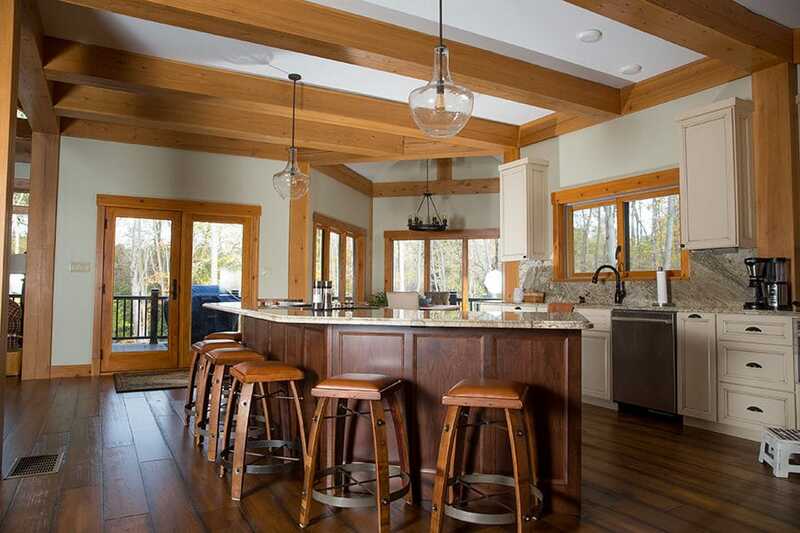 You can also combine styles—imagine a Handcrafted Home with Timber Frame accents or vice versa. Let’s take a look at handcrafted homes. 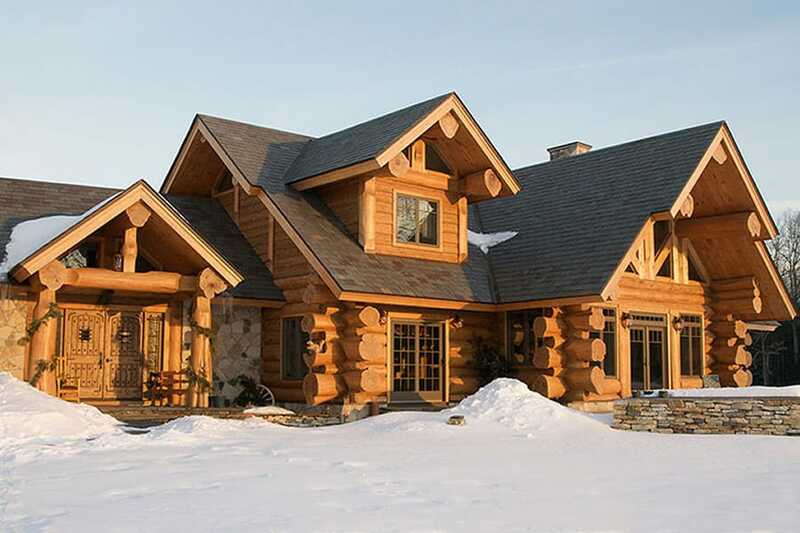 Our handcrafted log homes are built out of peeled logs with the idea of preserving the natural beauty and shape of each tree. The presence of natural characteristics, such as: knots, burls, compression wood, etc. Piece en Piece is essentially the same as Full-Scribe, but rather than interlocking cross corners, log walls terminate to a vertical log post. This type of log construction works well with designs that require minimal settling. 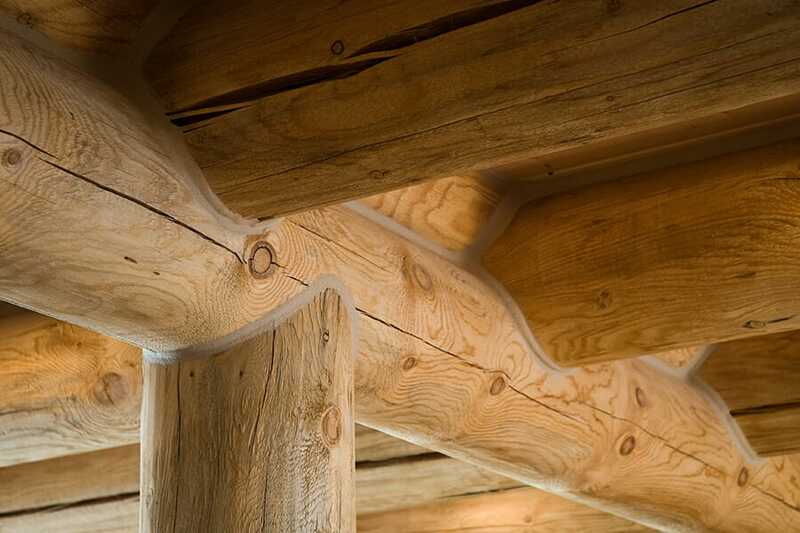 Post & Beam is constructed like a Timber Frame structure, but in place of square timbers, round logs are used for the structural framework of the building. Conventional framing materials or Structural Insulated Panels (SIPs) are used to fill in between the log wall posts. Exterior walls are often covered with a wood siding or stucco, and the use of natural or cultured stone accents can help add rustic beauty to the finished home. 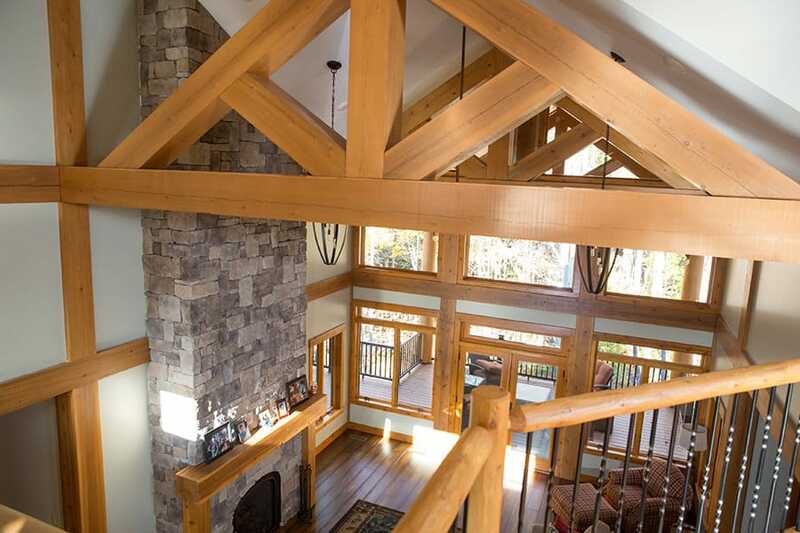 Log Post & Beam is a great way to have a log home with unparalleled interior design versatility. 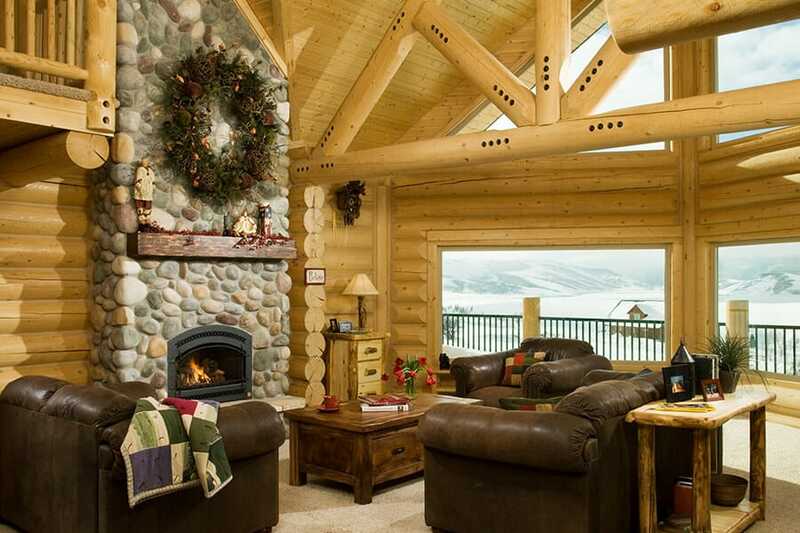 Mix different interior colors and textures to accent the log work. A new term being used in our industry is "Hybrid." First, to us, this means different building styles are combined to create a unique home. Fusion is a blend of Full-Scribe and Post & Beam styles. 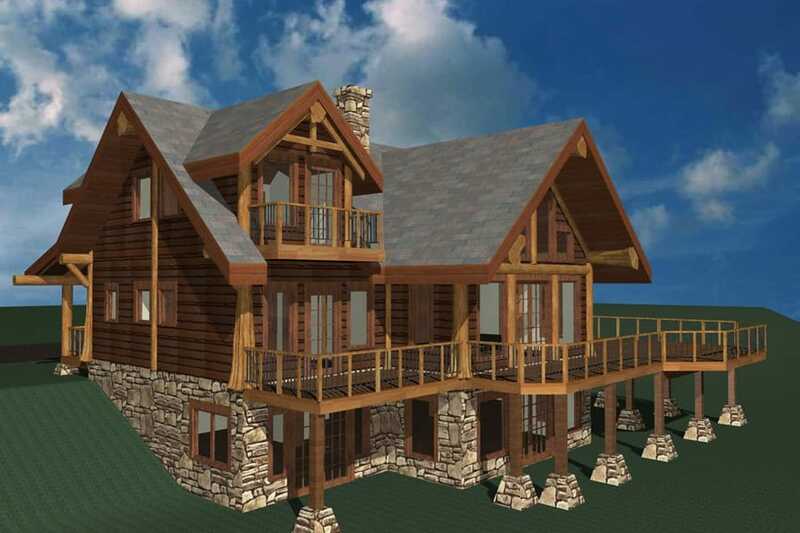 Envision a Post & Beam style home, with a few rows of horizontal logs at the base of the exterior walls. 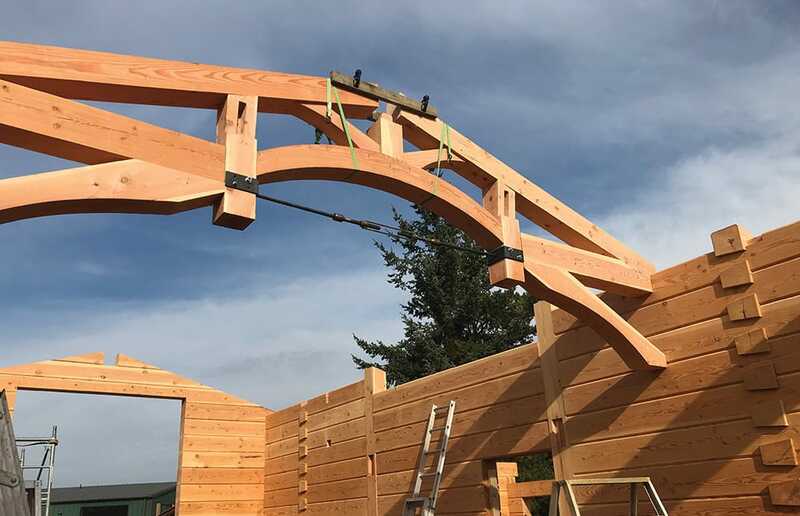 Now, also imagine one of our Full-Scribe, log Post & Beam or Fusion style homes with Timber Frame elements in the great room roof or entry way. 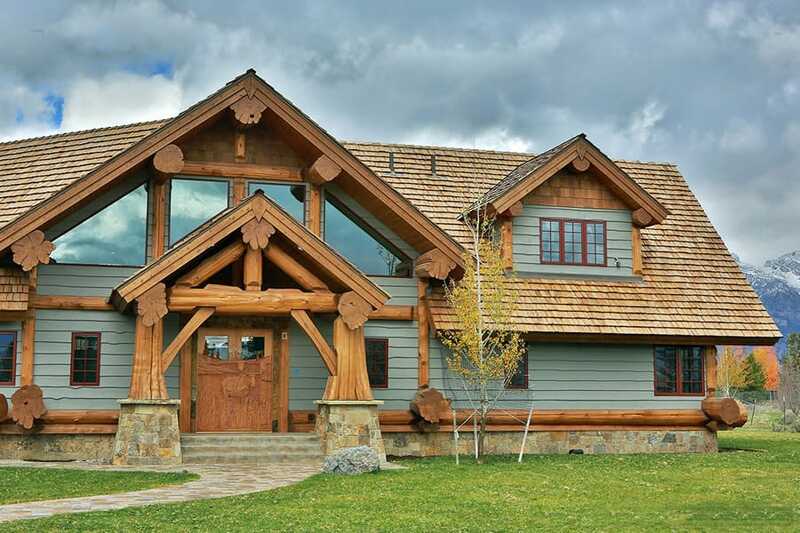 Or, how about a Timber Frame home with log posts and beams used for character pieces in highly visible areas. 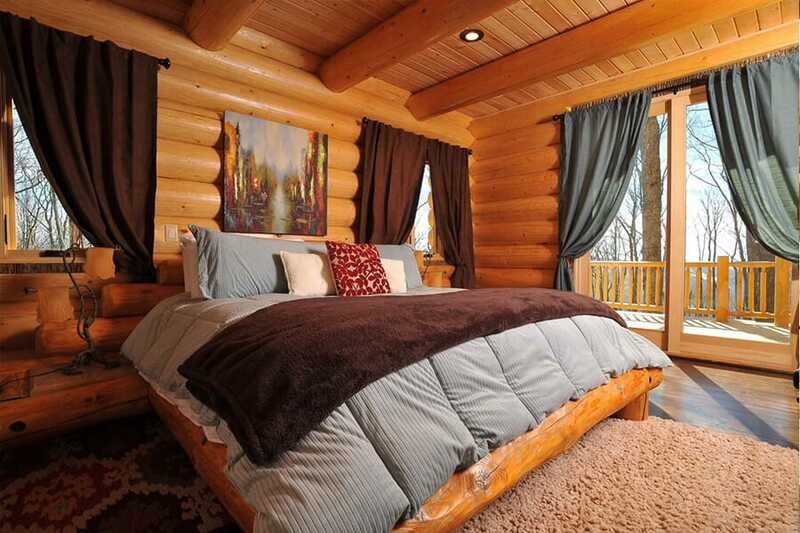 Our Summit Mountain Retreat style is a "Hybrid" log home. "Hybrid," in this case, would integrate log construction elements with conventional stick framing. 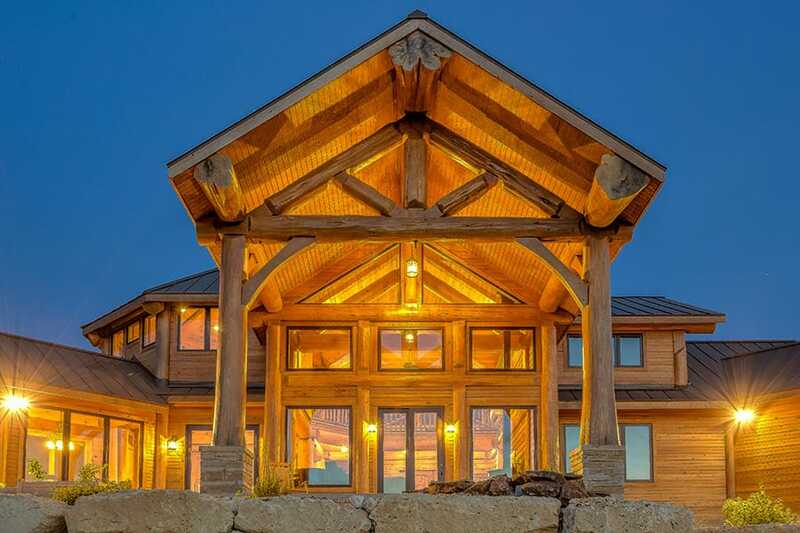 Picture a beautiful stick built home with a log entryway and log truss work with beams or rafters in the roof. 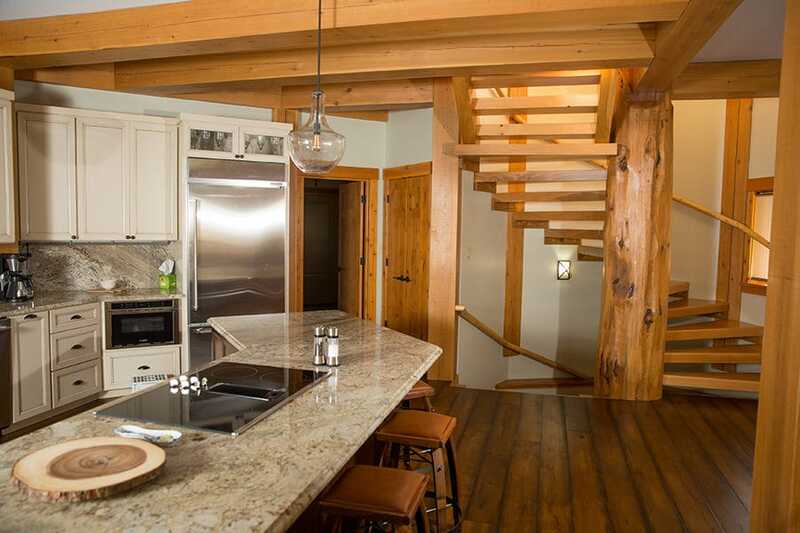 The Summit Mountain Retreat/Hybrid style is designed with a limited budget in mind. Hybrid style features log accents used in areas where they will have maximum visual effect. 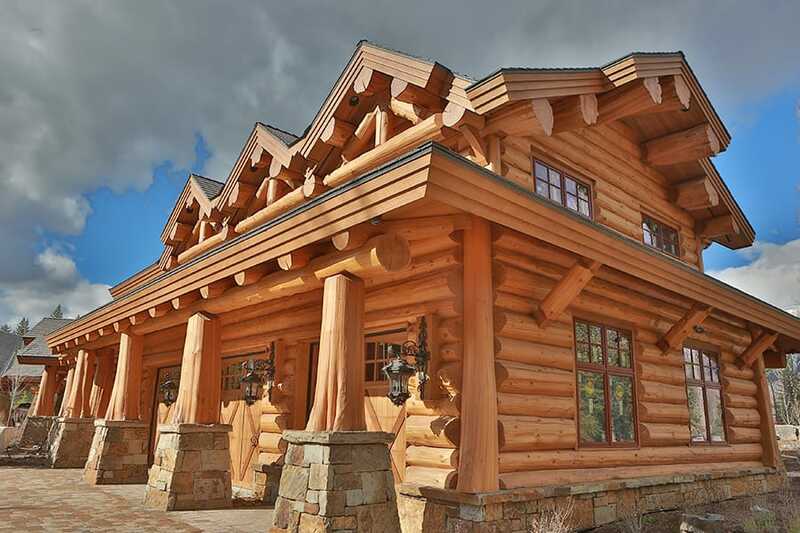 Milled log homes use timbers that have been machine cut to make them consistent in size and appearance. Machine cut to consistent size and appearance—wall log diameters: 10", 12" and 15"
The most complete and detailed milled log work on the market today. 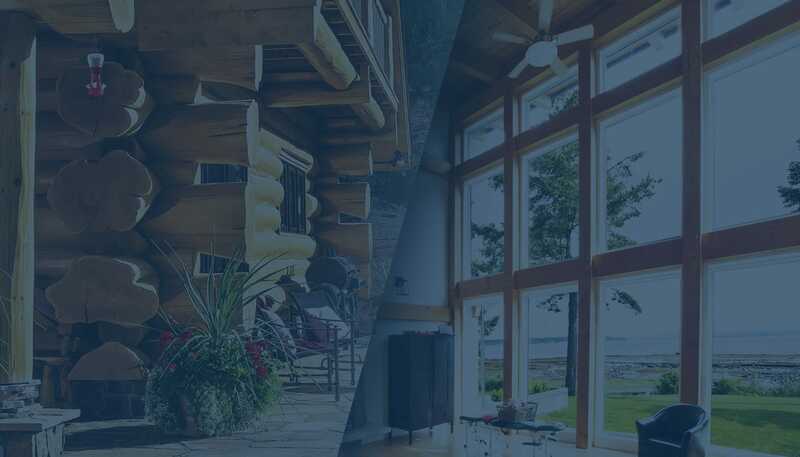 Even if you don't have access to an experienced log builder, our pre-stacked package will give you professional results. 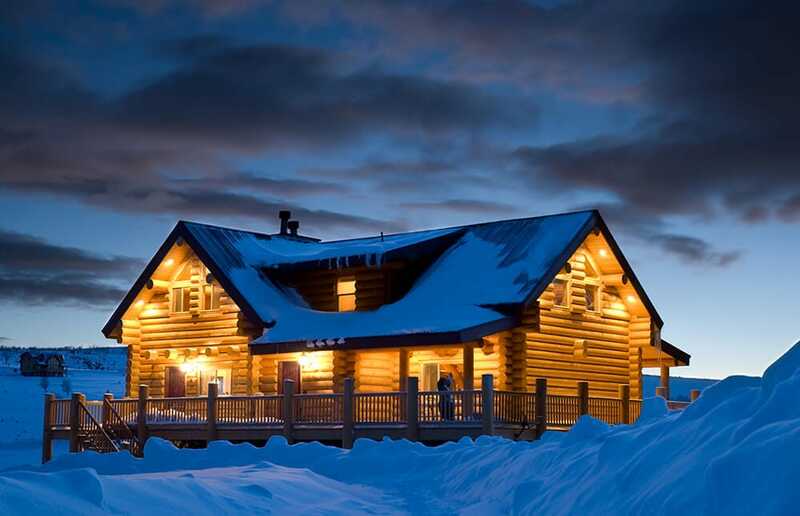 Like our handcrafted log homes, we pre-build the log work to ensure completeness and accuracy. No other milled log home company pre-assembles their log package before it’s shipped. This attention to detail avoids costly problems that are otherwise not detected (like miss-cuts or missing logs) until you assemble the package on your site. 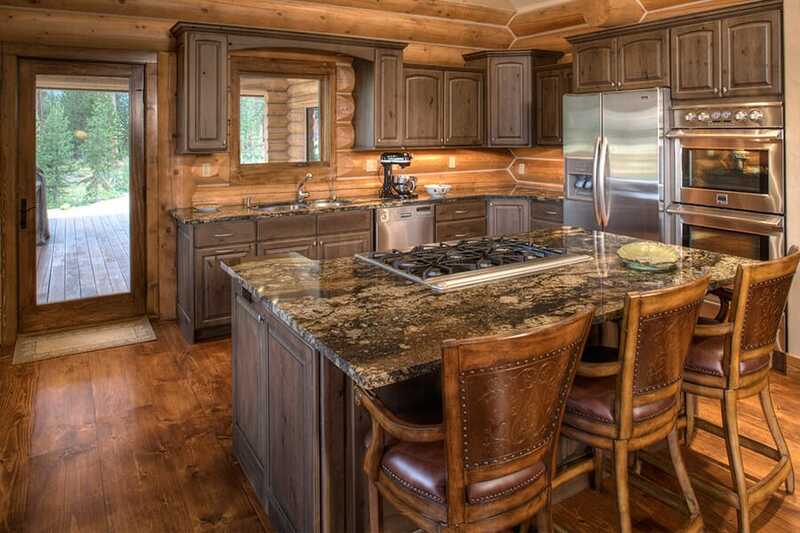 At Summit Log and Timber Homes, Inc. we carry on the tradition of old-world craftsmanship in each heavy timber project we complete. Every client's project receives first-class design work, premium materials, high-quality manufacturing and professional installation supervision. Rest assured, our attention to detail and care is the best in the industry. For every project, our drafting team creates 3-D concept designs for quoting purposes, followed by fully developed construction plans and production drawings for approval before any piece of wood is cut. We work with your general contractor to ensure that all measurements are accurate and you receive materials that install smoothly and fit properly. Our craftsmen cut and test fit each structure to ensure each joinery connection fits properly, before it is shipped. Each connection is clearly labelled, both on a set of plans and on the pieces. When your builder installs the package one of our tech reps will be there to guide the way. Located on Vancouver Island, BC we have access to an abundant supply of premium quality timbers. We offer Douglas Fir, Western Red Cedar fiber in No. 1 to clear grades. We can provide free of heart center (FOHC), which minimizes checking and twisting of the wood. The result is an enduring and beautiful home. 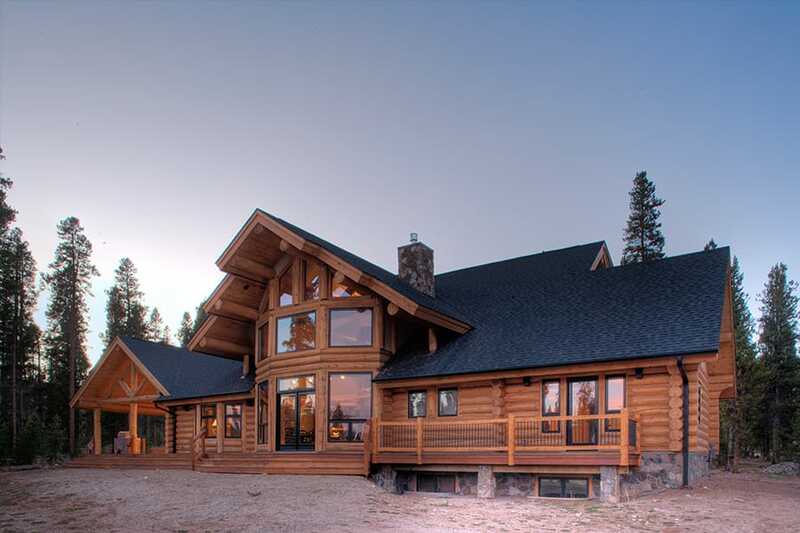 Summit Log and Timber Homes, Inc. provides any level of delivery needed—from raw timber supply to a fully assembled structure. 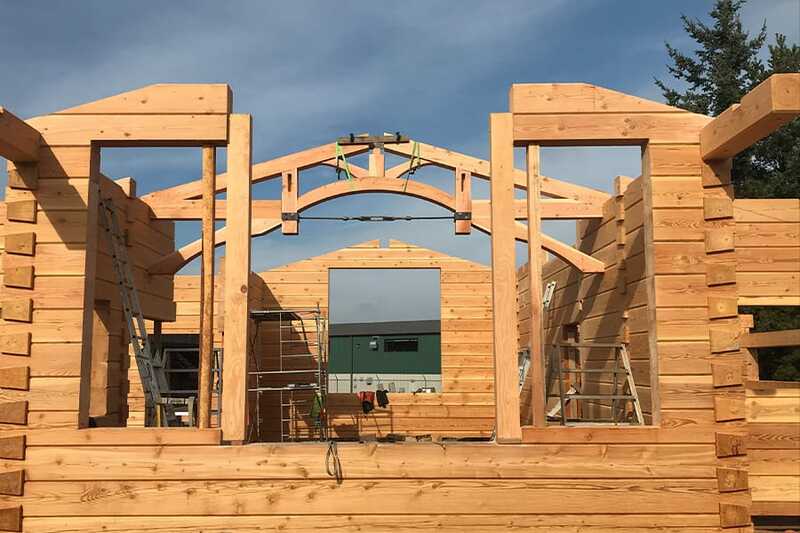 Although we regularly work on high-end residential Hybrid Timber Frame and Timber Frame applications, we are able to deliver projects on any scale—from simple cosmetic details (e.g., Hybrid Timber Frame) to structural timber frames. For both applications, we can provide SIP (structural insulated panel) engineered wall and roof systems.